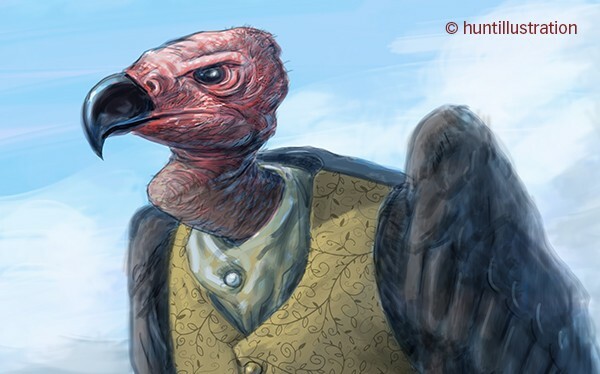 I write and illustrate a regular bi-monthly column for print and online arts and entertainment magazine called Art Hive. 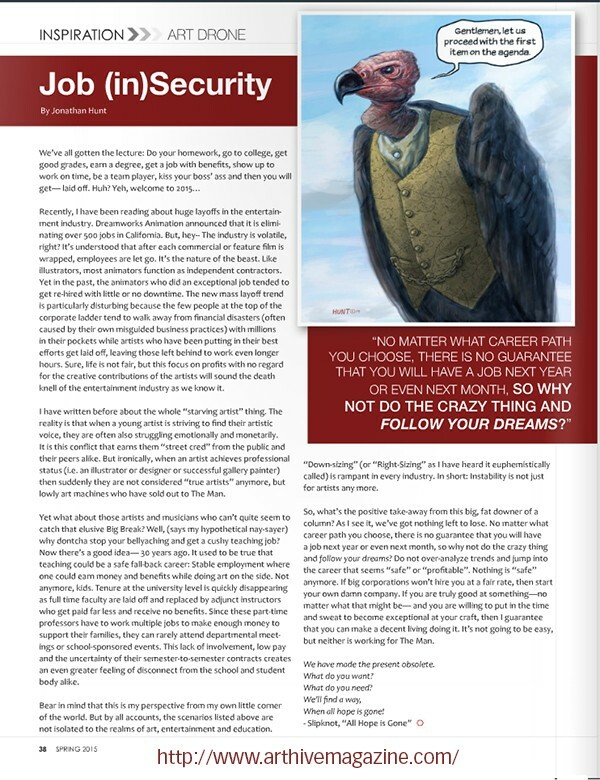 For the Spring 2015 issue I wrote about the rapidly changing landscape of freelance, full-time and part-time employment in the Arts. 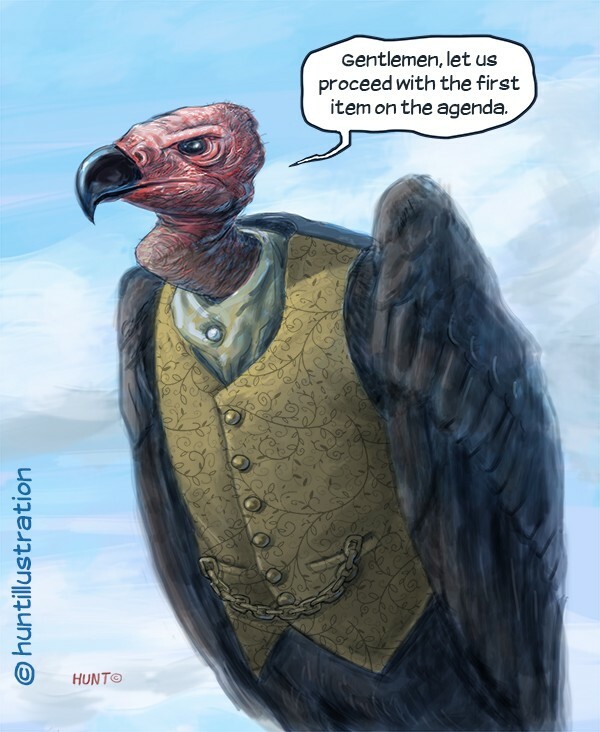 I included a digital painting of a well-dressed vulture as a visual metaphor for corporate greed.